Mary Ann Stemple, 75 of Mt. Clare passed away on Monday, February 11, 2019 at her residence. She was born December 4, 1943 in Clarksburg, WV; the daughter of the late Everett and Loretta Carl Markley. Mary is survived by her three children, Deborah (Tim) Childers, Tim Stemple and Belinda (Ed) Hayhurst all of Mt. Clare; four grandchildren Heather (Nate) Nutter of West Milford, Jessica (Dave) Barnett of Clarksburg, Natisha (Keegan) Richards of Clarksburg and Hali (Steven) Yoders of Lost Creek; and two great grandchildren, Jordynn Nutter of West Milford and Liam Barnett of Clarksburg. In addition to her parents, Mary is preceded in death by her husband, Charles "Sonny" Stemple; one daughter Theresa Stemple and her brother Everett Markley Jr. Per Mary’s request she will be cremated. Online condolences may be sent to DavisFuneralHomeWV.com. 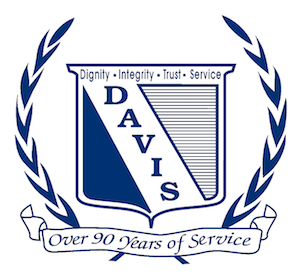 Davis Funeral Home is honored to assist the Stemple family.